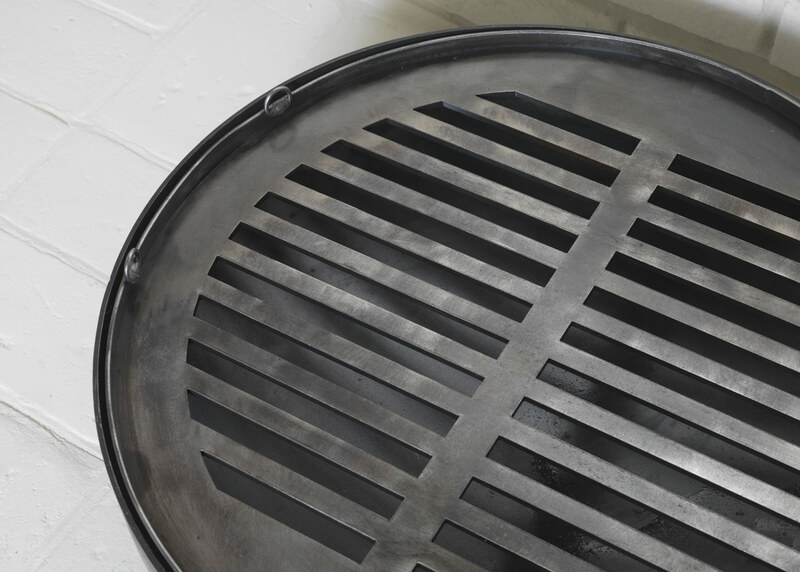 Ideal for those of us demanding home comforts on holiday is The Glamper, Made by the Forge’s portable fire pit. Equally desirable for home use on a higher stand, The Glamper is designed with the more adventurous in mind, providing both heat and hot food at any location. Outside, we all crave warmth and good company. There’s a very good reason that stories are told around the campfire. Make up some of your own around this attractive and compact fire bowl made with the same attention to detail and superior craftsmanship that is characteristic of any Made by the Forge product. The Glamper also boasts a redesigned grill, laser-cut locally for precision and attractiveness. 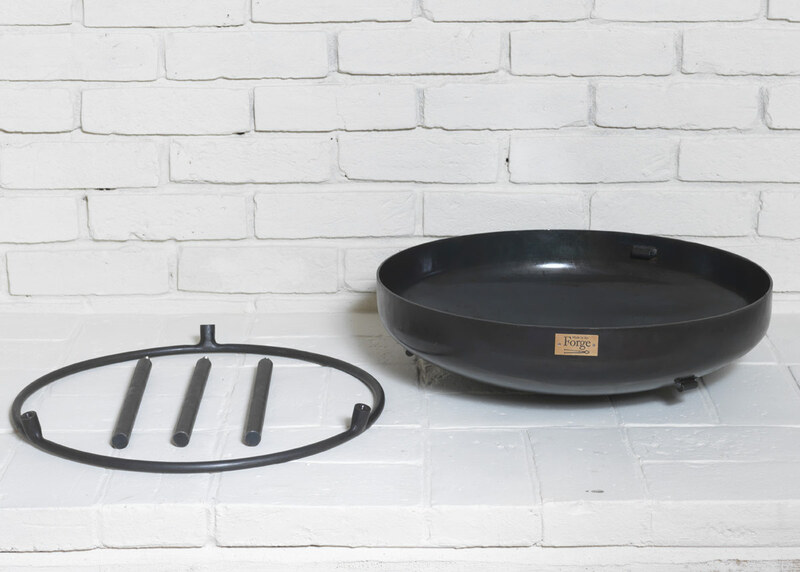 To the outer ring we’ve added handcrafted hooks and handles which enable you to effortlessly lift the grill off giving you the full heat of the firepit to enjoy as the sun goes down. It sits on your choice of high or low stands, each as strong and sturdy as iron can be. The Glamper comes with a hessian bag. Please note, the high stand is not designed to fit in the bowl. The Glamper comes with low legs as standard so they fit into the bowl for portability. Longer legs can be purchased separately for home patio use. 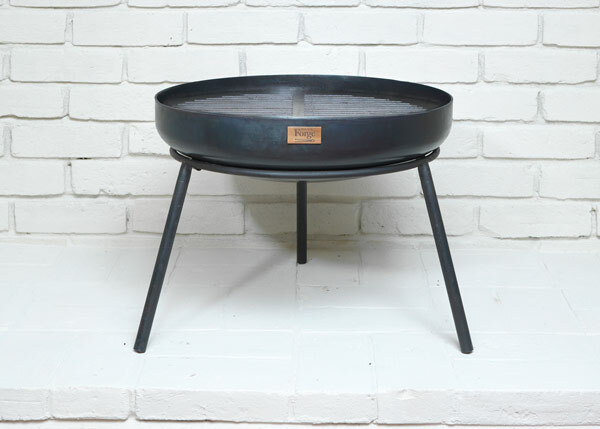 The Glamper Low has a 50cm fire bowl and its stand measures 20cm high and 45cm across at the top of the ring. 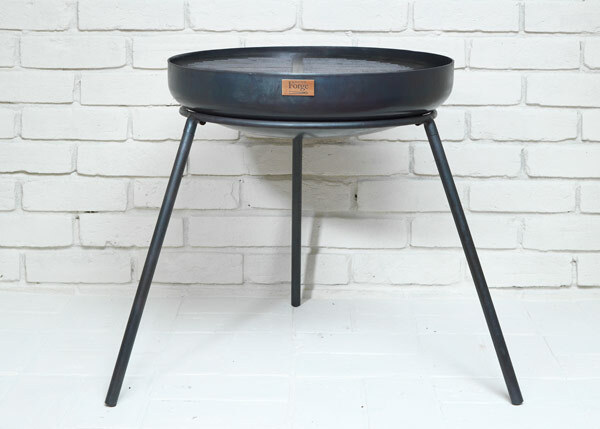 The Glamper High has a 50cm fire bowl and its stand measures 30cm high and 33cm across. Small and light enough for taking with you on your glamping expedition and perfect for family barbecues at home. 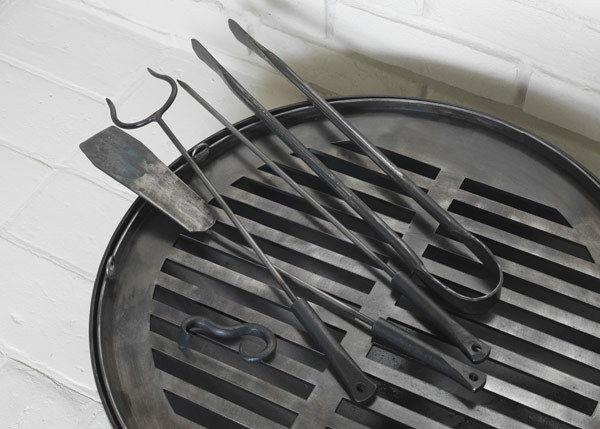 The Made by the Forge metal grill is seriously robust and will last you a long time if taken care of. 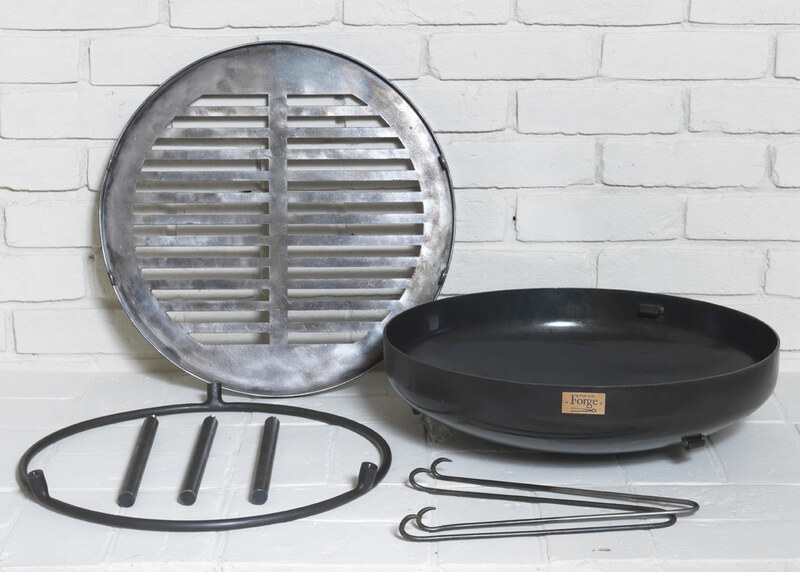 Over the course of the first couple of uses you will find that the grill mesh will warp slightly - similar to a wok in your kitchen. This is perfectly normal. Once it has gone to where it wants to go, it will not warp any further. 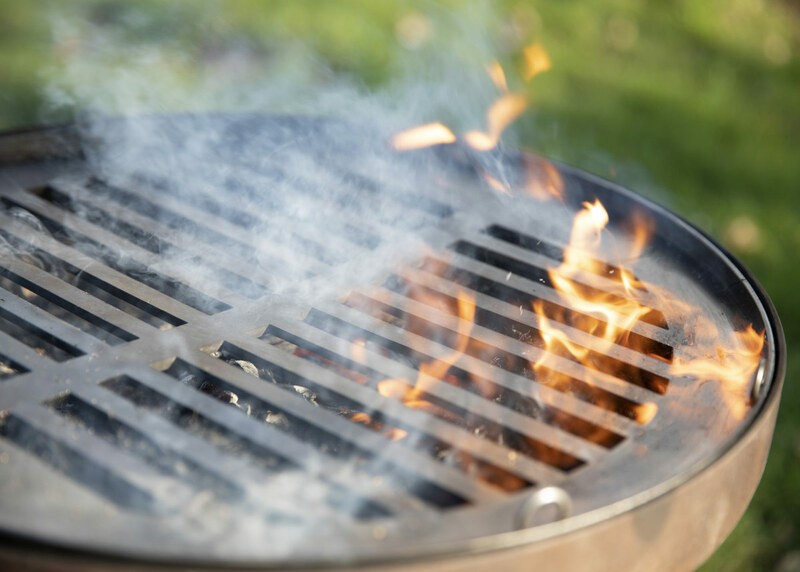 You can, if you wish at this point, softly tap the grill flat again using a flat piece of wood and a hammer to gently even out the wave effect caused by the tremendous heat our fire pits emanate. The negligible amount of warping will not cause any defect in the product or affect your cooking experience. It is wise to cover the fire pit or position it in a dry, covered area when not in use. Once suitably cool, removing the ashes is advisable as they are very acidic and over time can be destructive to metal. A regular light rub over with vegetable oil will preserve the look and life of your fire pit. 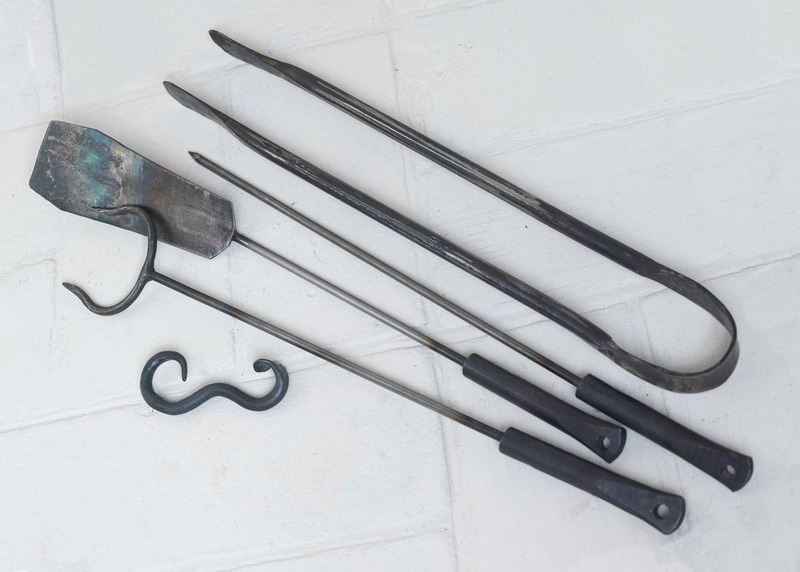 All Made by the Forge products have a lifetime guarantee on defectiveness. However, this does not cover the product for wear and tear, or to damage due to poor maintenance or misuse. Made by the Forge products are not dishwasher-safe and Made by the Forge products should not be exposed to excess moisture.